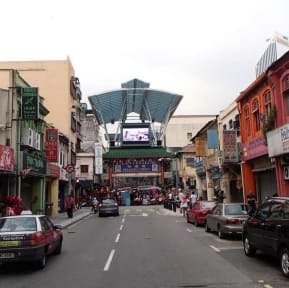 Oasis Guest House is at Jalan Petaling Kuala Lumpur, a good place and reasonable rates for travelers to stay, for short term or long term,close to bus train stations and some places of interest.night market and food shop around the area,shopping area too. Oasis has been opened since 2008, with a lounge area and kitchen and also rooftop terrace with 270 degrees view of the city. During the evening guests can enjoy their drink on the rooftop terrace facing the Twin Towers and exchanging info. It is 7 minutes walking distance from bus,train and monorail stations and airport Shuttle bus. We provide mixed Dorm, Single room with fan or air-conditioning, Double room with fan or air-conditioning, Double room with outside view, Double attached bathroom with fan or air-conditioning, Triple room with fan or air-condition.Guests have a choice of shared or private bathroom facilities. No window and the facilities are poor. Has a terrace roof, which is nice. You do not pay much, but also do not get much.